Anaga Mountains Tenerife occupy the north-east part of the island. This is the greenest part of Tenerife, covered with rain forest at higher altitudes, roughly starting from about 600 meters above the sea level. The highest spot of the area is at Cruz del Taborno (1024 m). So this is a lower part of the island, as compared with the southwest part with Teide, Pico Viejo, Guajara and other mountains. The appropriate form for visit is available here. For the Monte de Aguirre form please click here. But see also the links in the comment by Ginta. 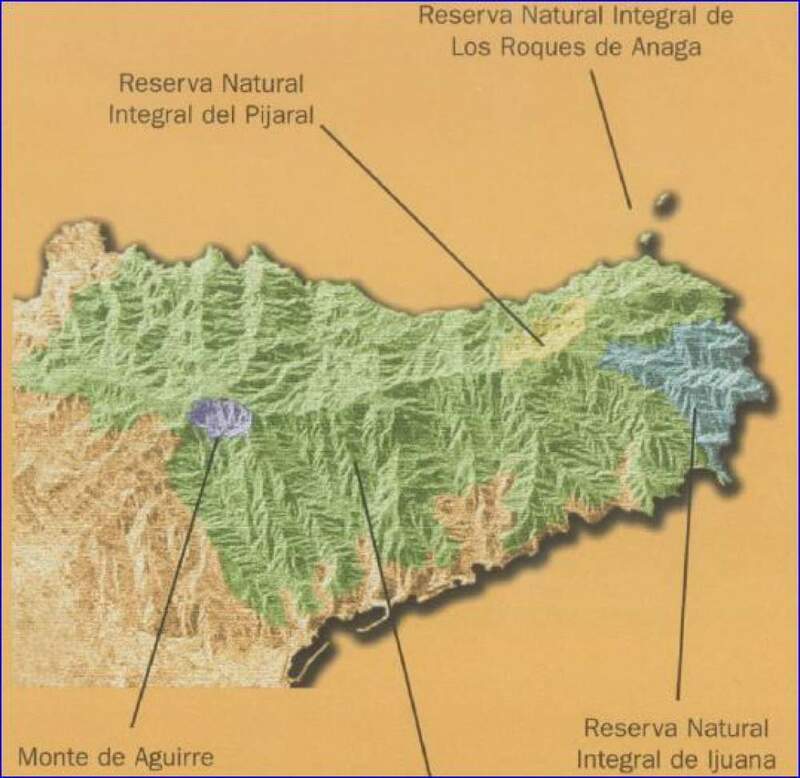 Zones of special protection in Anaga. Ijuana, a protected natural zone, only falcons you will hear here. Magnificent Roques de Anaga, yet another protected natural habitat. From Chamorga to faro de Anaga tour. The north side of Anaga mountains above Punta del Hidalgo. 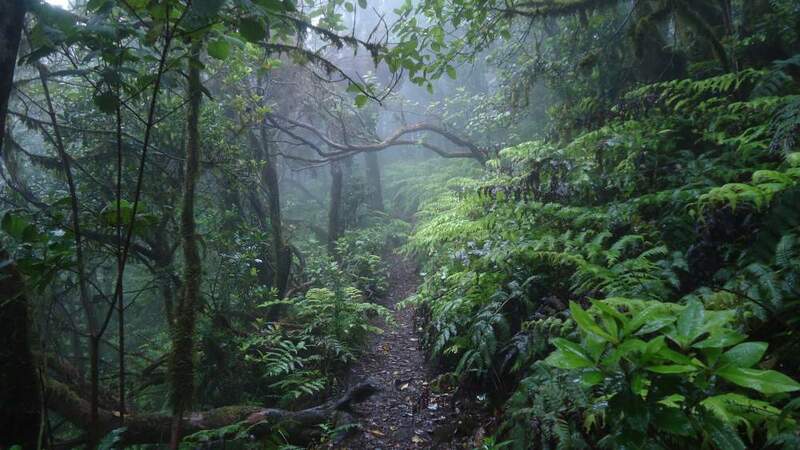 In the rain forest of Anaga – a walk through clouds. 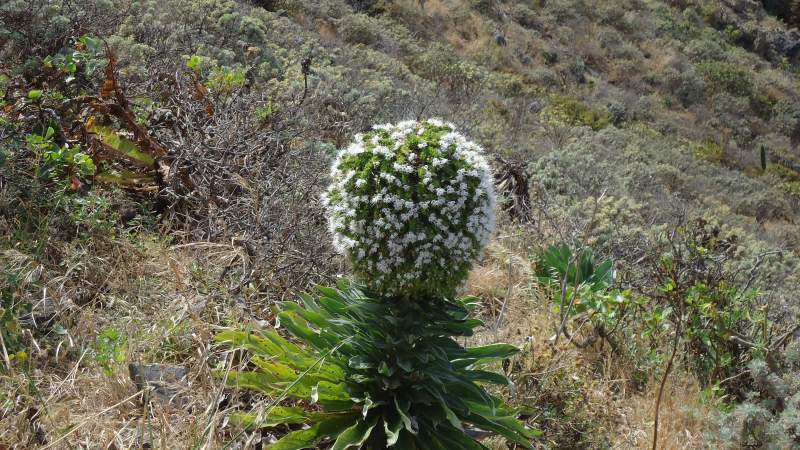 Bejeque plant – endemic species. On the route to Pico del Ingles from the south side. Pico del ingles, one of the highest spots in Anaga mountains. 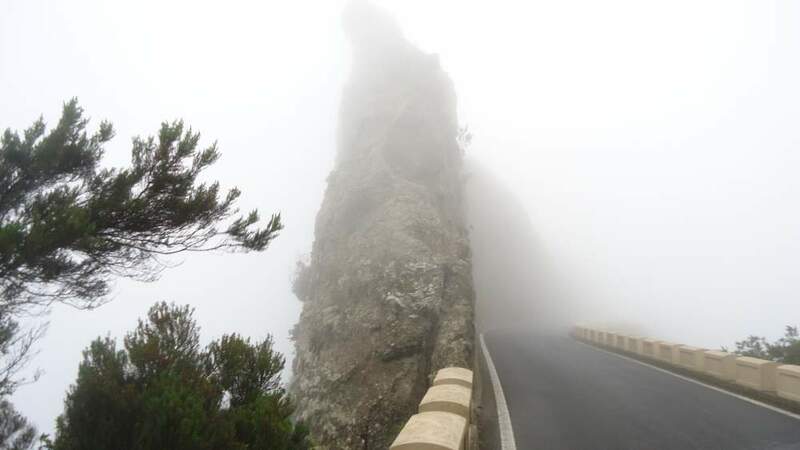 Roads in Anaga mountains region are attractions for themselves, each of them separately. There is only one road in the west-east direction, starting at La Laguna and ending up at Chamorga. This is around 35 kilometers long attraction, which more or less follows the watershed ridge of the mountain. I walked it all the way from Chamorga and can say at many places it is breathtaking. There are places at the mountain ridge that are so narrow that there is space for the road only, and you can have a view of both the north and the south side of the island in the same time. Road to Chamorga in clouds. From the south side, there is one road from San Andres, it connects to the mentioned west-east road, but it also continues to the north coast to Taganana and Almaciga villages. There are also several other roads that split from the west-east road and continue toward the villages on the northern slopes of the mountain range. From La Laguna to Punta de Hidalgo, line 50. There is a plethora of possible routes in every direction. Most likely the longest is the route from Chamorga to La Laguna, around 32-36 kilometers, depending on the variants you choose. I walked it in 8 hours from Chamorga. At many points along the route, you will have great views towards the coast, either to the north or to the south. Note, you will need some very good hiking boots or shoes, see some possibilities below. Another very long route, 22 km, is from coast to coast. You can start at any side of the island and walk to the other. The end point on the north side is Punta del Hidalgo, and on the south coast, this is either Santa Cruz or the end of Valleseco. So you start from zero-level at both sides, and the route will lead you to the highest point of Anaga, Cruz del Taborno (1024 m). This is what makes the route demanding and you will need at least 6 hours from coast to coast, in any direction. I have passed the route in both directions, and in several variants. Namely, on the south side when you pass Pico del Ingles you can descend along three valleys, Tahodio, Valle Luiz, and Valleseco. Valleseco, the south side of Anaga mountains. This north-south route crosses the road to Chamorga. Therefore you can make many possible variants. For example, you can take the bus from La Laguna and go to Cruz de Carmen and then descend to Punta del Hidalgo. From there you can either walk back the same way or take a bus to La Laguna. Another similar option is again by bus to Cruz de Carmen and the walk along the road to Pico del Ingles. After that, you can descend to the south along any of the mentioned routes, Tahodio, Valle Luiz, and Valleseco. Yet another great route is from Igueste de San Andres to Chamorga. For this, you take the bus 945 from Santa Cruz and go to the last stop. You will need 4 hours to get to Chamorga, but you can make several possible variants of this route. 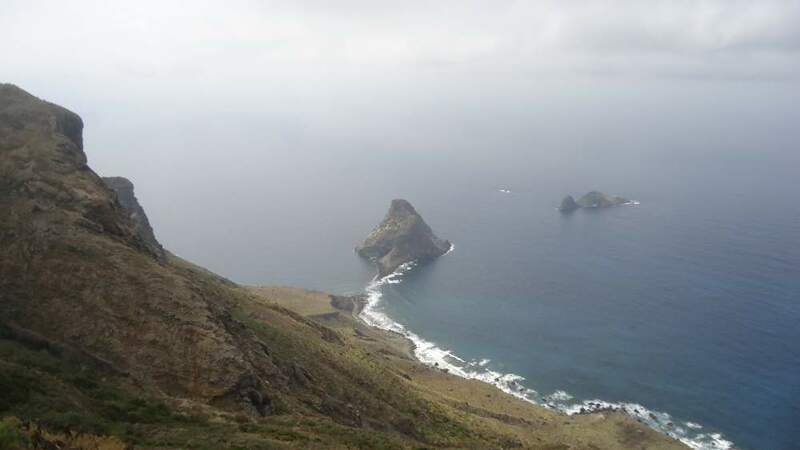 If you want to walk with the sea all the time in sight, then take the route from Benijo to Roques de Anaga. You will enjoy it for sure. I hope you have enjoyed the text. If this is so, please share it with others in your favorite social media. Do not miss to have a look into the suggested pages on routes. And please leave some comments in the box below. I shall be happy to answer any question. 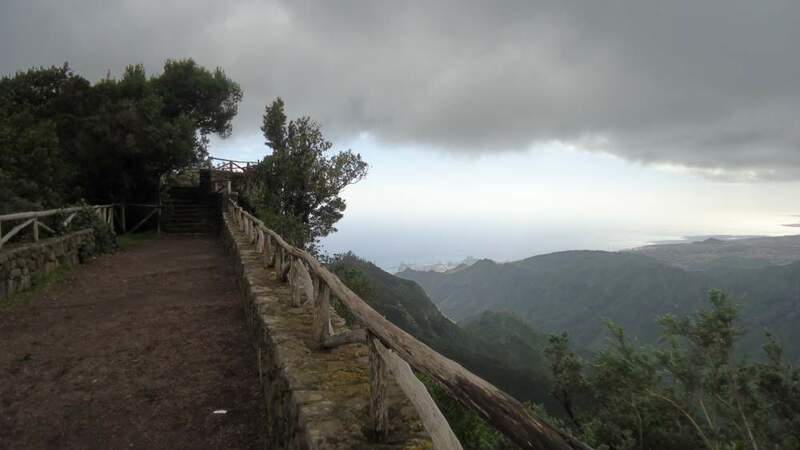 Note, more than 5 million people visit Tenerife each year, there are many good reasons for that; Anaga Mountains Tenerife are definitely one of them. We plan to visit Tenerife in September. We are to stay in Puerto de la Cruz. We will not rent a car but use public transport and if needed also taxi. We world like to do one walk. Looking on Titsa website it seems not so easy to do it by buses – not too Good timning connections. Can you advise about a hike that is worth doing and with good bus connection having in mind we are staying in PDLC? The distances are not big on the island so you can take a bus and go to Santa Cruz and from there are several options. For example go to Igueste de San Andres and do some of the tours described in the site (e.g., to Playa Antequera), or take a bus to Almaciga and do the tours from there, there are several described in the site, e.g. to Roques de Anaga. Or take a bus from Santa Cruz to Chamorga and then a small tour to the Faro. Make sure to get back in time to catch the bus to Santa Cruz. Another option is to go to La Laguna and take a bus to Punta del Hidalgo and from there walk to Cruz de Carmen and then either continue walking to La Laguna or take a bus to La Laguna. Or just go to La Laguna and walk to Cruz de Carmen and back. You can also take a bus and go to the Teide area (to hotel Mirador) and then climb Guajara. You will have enough time to take the bus at 4 PM back to Puerto. This is exactly what I did once. Plenty of options. If you wish, send me some report later and share your experience, I have an open invitation for guest authors. So is it possible to pass through this route without permit? Hi Artem, you do not need a permit for this, no worry. Enjoy your hiking. Why would you not submit an article about your adventure? There is an invitation for guest authors here in the site. Definitely, I will think about some report. Many thanks for swift reply ! Seems like it will be early start for me to see sunrise 🙂 Ok so routes like: path of the senses and around this area should be fine to walk without permits ? Just to add Pico del ingles should be fine as well ? Yes, this is just a touristic viewpoint, be careful there are thieves around, they come by car to the point and grab valuables from the hands of naive tourists. Sorry for spaming Jovo, :)just one more question. The best way to get to Pico Teido over night will be ? also if I decide to take cable cart do I need a permit to descent ? You mean to take the first gondola back? No as far as I know, but I always pretended not to see that ugly thing on the mountain, you should not need it in principle because there are always people who spend the night in the hut and then descend by the gondola, so those can be people who did not plan to climb to the summit in any case. Yes this is a walking area for people who normally come by the lift. No permit needed. Great Website ! I’m going for 4 days next week, but I didn’t realize that you will need permit to climb Pico del Teide. I’ve checked official park website and all the dates are booked until June. Do you know if there is any other way to obtain such a permit apart from private tours ? They are too expensive . 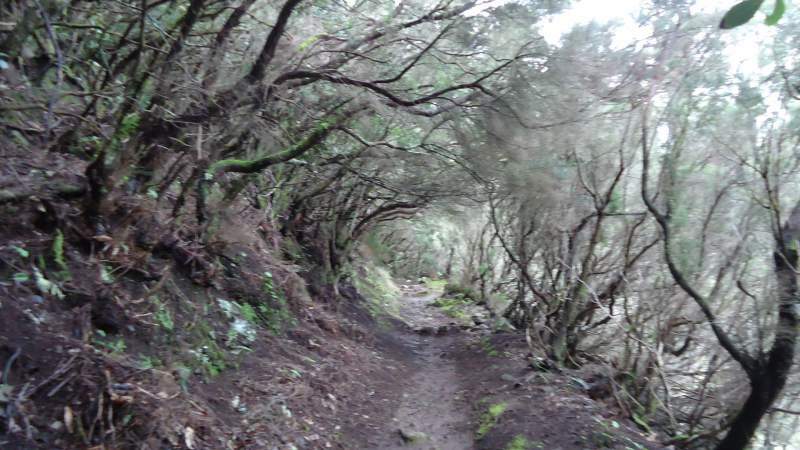 Also I have permit for the walking tour of the trail in the Exclusion Zone of Monte de Aguirre (Anaga Rural Park) does it cover Santa Cruz to Punta del Hidalgo ? Which parts of Monte de Aguirre require permits? Hi Slawek, here are the answers to your questions. They have a day limit for Teide and they give permits for 2-hour blocks. It is almost impossible to get it, always booked. If you spend the night in Altavista hut, the permit is included. But getting a place in the hut is even more difficult. The obvious way around this permit nonsense is to climb when the people in charge are not there. They leave at around 5 pm with the last gondola, so make sure you get there after that and continue to the summit. This will imply descending in the dark but this is not a problem with a headlamp. I have climbed it 3 times that way. An alternative is to climb overnight and be on the summit and back before the guards come, they come with the first gondola. I have climbed the mountain also 3 times that way; so you can enjoy the sunrise from the summit, see more here. You do not need a permit for Canta Cruz – Punta del Hidalgo tour, I did it a few times in both directions, so I am sure about it. The Monte de Aguirre is a rather small area and when you get there you should see the sign, they usually put a table with a warning about the permit and you should see it. If not, then you are not in the zone which requires the permit. Though I know that some other areas have such tables at one side and not on the other side, so one can enter without knowing it is with a permit. You have such a situation when you get to Pijaral from the north side, there are no signs about permits, have been there a few times (without a permit) and know that there is not any table. The same is when you enter Pijaral from Ensillada parking, I do not remember seeing any sign (but in this case I might be wrong). Hi Thomas, thank you for the kind words. Anaga is a bit isolated area, not touristic and it is remote, not places to stay inside the area. But you can stay anywhere around, bus connections are good. So you can stay in Laguna or Santa Cruz, Punta del Hidalgo, and Bajamar. Note that the busses from Laguna only go to the north side area like Punta del Hidalgo and Bajamar. The bus from Santa Cruz goes to the east side, Chamorga, and this is the best line for your purpose. With this bus, you can go to the heart of Anaga and make tours around and then take the next bus back. So check Titsa bus company, there are several links in my texts. Another option which I used a lot is the bus from Santa Cruz to Almaciga and then make tours up. Also, you can make tours from Igueste de San Andres and go to Anaga there, there are some texts in the site, so those are bus lines from Santa Cruz. It is best to stay in Santa Cruz if you are based on busses. You can also make the south-north tour or vice versa, this is described in my texts. If you rent a car, take Cicar, the most reliable, take my word for that. In Santa Cruz there is a small agency Anaga for cars, I used them many times, reliable. I was there again a few weeks ago, people were swimming in the sea in Puerto de la Cruz. Thx Jovo – once again your advices are Fantastic…There is one last Think. I’ve desided to do about 4 of your tours – and can’t find answer anywhere on the internet to this question:) do I need map or GPS or are the trials and signs so clear and good that u can walk without any help? Yes, there are signs for the usual hiking routes, with the help of a map you will always be able to orient yourself. I have never used any gadget, it was enough to memorize from the Internet and use some ordinary maps. You can always contact me a day before the certain tour and I can guide you a bit from the distance. There are many more tours which I have passed but did not have time to put them on the site. So just let me know if you have the Internet when you are there. I am sure you will like the area, the climate of Anaga is really specific and this is a rural area, you will see the real life of ordinary people. 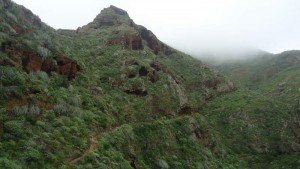 Is there any shorter hikes u can recommend for my virgin hike around Anaga? You can still get to several places. If you manage to take a bus to Chamorga, then you can do at least half of this short tour above the village and see the faro. Another option is to hike from Santa Cruz towards Pico del Ingles, less than 3 hours one way; this is in the second part of this text and several routes are marked in one picture. From there you can continue to Laguna (at some point from Cruz de Carmen there is a bus), and then tram back to Santa Cruz, or hike back. Note, the night comes quickly there, do not get caught in the darkness. This route starts from the port area in the city, at a gas station which is at the end of the walking avenue along the sea, you walk in the direction of San Andress, cannot miss it. Or just take a bus to Igueste de San Andress (go towards the sea, the long walking avenue along the port, you will find bus stops there; the same is if you go to Chamorga), and there you can walk up the hill directly above the village in the east direction. You can make a round tour and descend to the great beach behind (only paths go there, no real road) and then back, or make some other variant. This is the route I still did not add to the site, pity. Play safe in any case, do not get lost. Thx again – it’s a very big help..:) its impossible to catch a early bus to Chamorga cause of the holidays / so I’ll try the Santa Cruz towards pinto del Inglés- but where does the hike/trail start in Santa Cruz? You do not need an early bus, I arrived at 4 pm to Chamorga, check the time table in the link in my text. For the hike from Santa Cruz, I mentioned in the previous message, from the gas station close to the sea at the end of the main avenue along the sea, walk in the direction of San Andress (towards the east), till the end of the avenue. 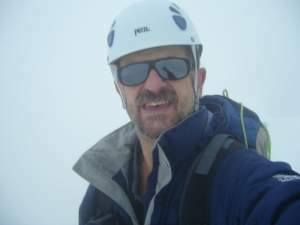 Dear Jovo, I am invited to spend some time in Tenerife in August and I am interest in hiking. Do you have a summer experience in Anaga? Is it bearable to hike in summer, or too hot? Is the vegetation still green or dried up in that time of the year? I will be grateful for your advice. Hi Barcia, thank you for visiting my site. Yes, I have experience in all seasons in Anaga, have stayed there for one full year. The island is an eternal spring area so it is never too hot, and this holds in particular for Anaga. This is a rainforest area with a very specific climate so you have clouds that come from the north and sit on the mountain range. So it is always green and usually wet. Let me know when the time comes to do some hike, I have passed all routes in Anaga, not all are described in the site. In fact, I just came from Tenerife a few days ago, and can tell you the weather was the same as in the summer. We will be in Tenerife in late October and we plan to go by car to Taganana and take a step by foot. Do you know – it is possible to drive along the road TF-12 and TF 134 without permossions? And what about hiking from Afur to Taganana or cruz del Carmen to Punta del Hidalgo? Hi Ginta, thank you. I wonder what the problem is, perhaps the language barrier. I had a local friend who obtained it easily by phone. I was walking without permits (do not tell anybody). You do not need any permission for roads. The tours you mentioned are without permissions. The latter is the part of my tour from Santa Cruz to Punta del Hidalgo and vice versa. Note you have the office to get the permit at Cruz del Carmen, so you can do it when you are there. Many thanks Ginta, I am sure this will be helpful for others. I added a sentence in the text pointing to your comment. Much appreciated. I am so happy I found your website! Yesterday I booked my 8 days holiday near the Anaga mountains and was looking for good trails…am I lucky I found your website! I am thinking of doing all the Anaga routes you described. Thanks a lot! 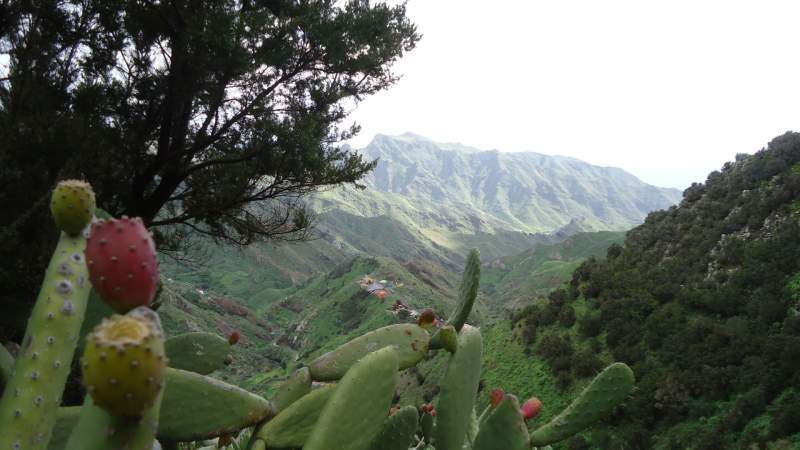 Do you know what the weather expectations would be in the Anaga mountains around Christmas? I read you told about the clouds and becoming wet. Should I bring extra layers in winter or more raining gear? Thanks a lot for your great website, sure going to read a lot of it! Hi Adrian, thank you for visiting my site. There are many routes in the Anaga area, I am sure you will enjoy it. Around Christmas the weather from my experience was just excellent, like a spring time in Europe. There is no real winter there. The clouds in Anaga are a separate story, they just sit on the mountain so you walk through them and then there is condensation. But if you take some route in the lower area you will not be in clouds. Anaga is very specific, you will see that some areas are with restricted access, though I have passed them all. Let me know which tour you plan to do and I shall tell you more, though I have described some of them in texts. The majority of them I did not put in the site. So if you need something particular and you do not find it in the site, just let me know. I live in the mountains in New Zealand. It’s so beautiful and spiritual. Since living here my family and I have really thought about our precious environment and becoming self sustainable. 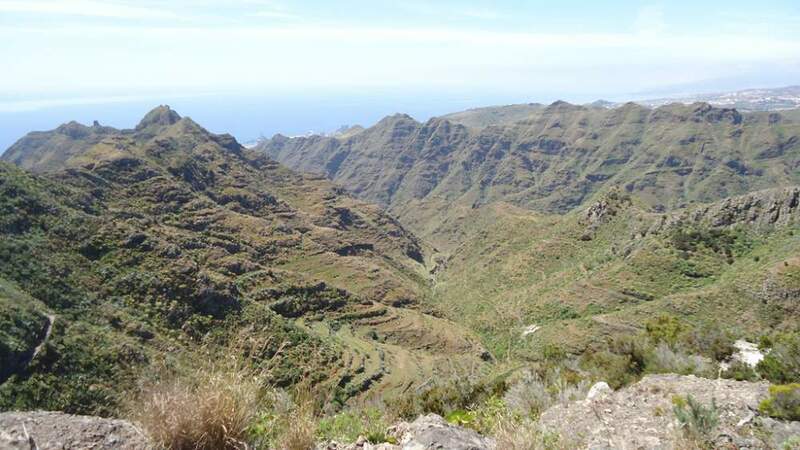 Thankyou for writing about the Anaga mountains in Tenerife, it looks magnificent and brilliant to hear it’s part of the world network of biosphere reserves. Thank you so much Sarah, it is great to hear about New Zealand. Never visited it but it has always been my dream to do this. 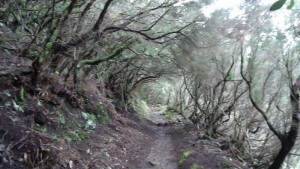 It makes me happy that you enjoyed my text about Anaga rain rain forest on Tenerife. Best regards to you. So glad I came across your site. The Anaga Mountains are beautiful and inviting. One more place to put on the bucket list. Do you know what the benefit is for the UNESCO designating the area as a Network of Biosphere Reserves? 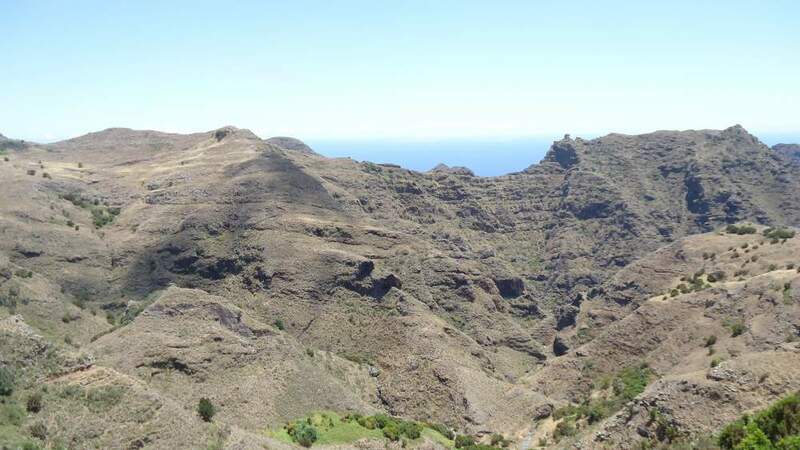 Does it provide funding for the Anaga Mountains preservation? Hi Mark, it is my pleasure to read your comment. 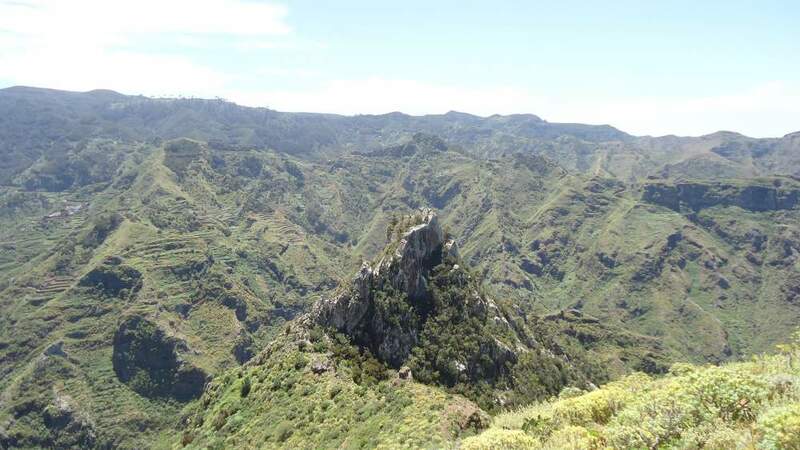 Anaga mountains indeed deserve all attention, it is an extraordinary place. I have walked the area in all possible directions and have seen the beauty and diversity of its plant species. I am not familiar with exact support of the local government by UNESCO, I guess the practice follows the same procedure for any Biosphere region, but in any case it was great to see the news when it was announced recently. Another beautiful post from your site! I love the way you write, and the way you make all travel with you pictures and videos. What an amazing landscape you have chosen! Tenerife seems an amazing place to visit, I hope to be able to visit it some time in the near future with my family. In the mean time, we have your amazing site to enjoy! Thanks again for the travel! Hi Fito, this is a very kind comment and it has made my day, many thanks indeed. You are right, Tenerife is an amazing place and I feel privileged for having chance to stay there. If you make it to Tenerife I am sure you will love it, there are so many nice a quite corners in this very touristic island. I am always looking for new places to go hiking and you have just shown me one that I intend to take advantage of. You stated you walked the 32 Kilometers in 8 hours, that is quite a clip moving at 8 k per hour is moving quite fast. Is the hike not that much in elevation gain? I am just wondering, I move about about the same pace when I am hiking unless the terrain is like straight up, then it tends to slow me down some. Hi, many thanks for the comment. My route was in fact longer, at least 35 kilometers, because I had to follow the road in longer sections, could not find shortcuts through the forest. And my speed was not 8 km/h, in fact nearly half of it. As for the elevation, the start point is at around 450 meters above the sea and the highest is around 1000. This brings back wonderful memories of a family holiday I had in Tenerife as an 11 year old ( first year of big school! ). I can remember the volcanic sands of the beaches and the scorching weather! Tell me, is Tenerife still a popular ( and largely cheap ) holiday destination? Hi Chris, yes Tenerife is still popular, up to 9 million people come here every year. I think prices are rather low here, but the nature is the main reason for people to come. This is pretty cool, as I’ve heard of Tenerife, but I had no idea there was such a big mountain range there. I love mountains. One of my favourite places in the world is the Rocky mountains in Canada. Do you have any posts on that region? Keep up the good writing! Hi Todd. Thanks for visiting my site. Anaga mountains are a great area with rain forests. There is also Teide which is a true giant on Tenerife island. Hello Jovo, until I landed on your site I had no idea how beautiful it is in Tenerife, the views are simply breathtaking. I’m much more of a country person than a beach person. I now know where I’d like to go for my next hiking holiday, is bike hire possible there? I’d absolutely love to ride deep into the mountains and take in all that scenery. I’d never want to go home. It’s many years since I did any mountain climbing, but you may have talked me into that too. I want to watch your videos, but my computer isn’t working well. So I shall come back once I’ve fixed the problem. Thank you Jay, I share your views about Tenerife. As for bike hire I am not really sure, bykes are used though. This is my favorite part of Tenerife to cycle. I always bring my own but rentals are available in Santa Cruz and Puerto de la Cruz. Hello, Jvanjes. I enjoyed my visit to your site today. I learned a lot about Mountains that I never knew. You have a great looking Theme. Your content is very neat and informative. I received an error message when I clicked on this link: “Alpspitze”, you may want to check on this if you don’t realize there is a problem with this link. I am not sure you want your images to be “clickable”, unless you want the Viewers to see a larger shot of the Images, you may need to unlink images that’s not linking to anything but the image. This is minor. You have a great looking site. Take care, Jvanjes. Thank you Prince for pointing out the broken link, I have fixed it now. As for images. I do make them clickable for the reasons your realized, that visitors see a larger shot. While reading your amazing review I closed my eyes and almost fel the wind on my face 🙂 It’s a place to visit for sure! I’m not so far away because I’m Portuguese, so I definitely won’t forget your photos and will put Anaga Mountains on my places to visit. I think I will try to do the route from Chamorga to La Laguna. Thanks for sharing your photos and your experience. Hi Bob, great to read your comment. I am happy that you like my text about Anaga mountains. Thank you for visiting my site.